Exercising during your pregnancy is essential of you would like to minimize aches and pains, keep a healthy body-weight, maintain muscle tone and control your pelvic floor. Exercise will also enhance your energy levels and help you cope with the physical and emotional changes. If you’re new to fitness or even if you’re an old hand at it, always check with your doctor or healthcare provider before you start anything. Seek the guidance of an appropriately qualified physiotherapist with experience in pre/postnatal care to obtain a safe pregnancy exercise program. Pelvic floor muscle exercises should be prioritised into any pregnancy exercise regime. These important muscles are responsible for controlling the bowel , bladder and uterus in women. 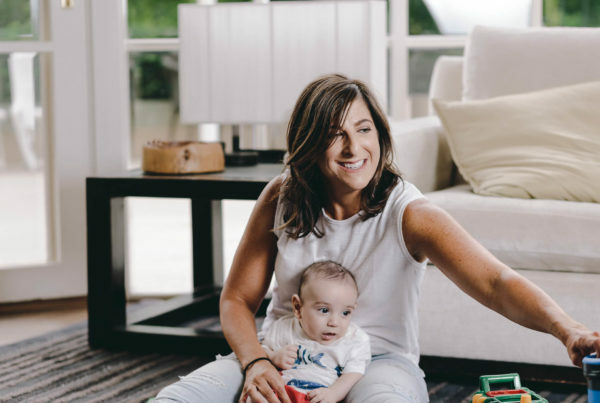 They also have an important role to play in controlling where and when you go to the toilet (continence), Due to the increasing weight of the baby along with the effects of hormones these muscles become stretched and weakened through pregnancy. 1 in 3 women who have had a baby will suffer from pelvic floor issues. By exercising your pelvic floor muscles effectively throughout your pregnancy you will be in better shape to control what goes on down under. If in doubt seek help from an appropriately qualified physiotherapist with experience in pre/postnatal care. Core (deep abdominal) exercises: The core muscles are the foundation of your body. The deep abdominal muscles are important in supporting the weight of the baby and protecting your back and pelvis. They are often stretched and weakened through pregnancy leading to back pain, poor posture and pelvic floor problems. The outer abdominals can also separate in the centreline (called diatstisis rectus abdominus muscles). This occurs in 2 out of 3 women in the 3rd trimester. By exercising the deep core muscles your back will cope better with your changing shape and the abdominal muscles are less likely to stretch. Also the stronger you keep your insides the faster you will recover and return to your pre pregnancy shape. Squats – Due to your changing posture and the belly shifting your centre of gravity forward the thigh muscles may become weak. Strong thighs are important in preparation for the activities of motherhood (lifting, pushing pram, carrying bubs). The stronger your legs are the healthier your back will be – not to mention preventing the pregnancy waddle. Squats are a fabulous functional exercise to get those legs strong for the physical workout of motherhood. Upper Back – The weight of the growing baby and increasing bust size puts extra pressure on your upper back. To counteract this you need to strengthen your upper back (i.e muscle between your shoulder blades. Using dumbbells and resistance bands are a great way to do this. Pelvic mobility exercises – Pelvic tilts and circles- To minimise joint stiffness and prevent aches and pains. It will also help to prevent and manage backache / ease away tension in the lower back.. Do these either standing, on the floor in a four point knees position (ie all four) or sitting on a fitball. Start thinking about your core, posture and pelvic floor muscles now. Set your pelvic floor prior to all exercise – for example before lifting the weight – pelvic floor on first. This will become more automatic as you practice it. There are so many myths about what to do and what to do with your exercise. Seek sound advice from an appropriately trained health professional to help guide you in the right direction. Choose low impact exercise options to protect your joints and pelvic floor. After 16 weeks the recommendations are to avoid lying on your back as the oxygen supply to the baby may be reduced. As such modify exercises away from lying on your back to seated or more upright positions. Pay special attention to strengthening your postural muscles – strive for tall and lean. Avoid motionless standing – for example modify your exercises from standing weights to seated weights. Always listen to your body. Balance exercise with some rest and relaxation. Add some labour preparation exercises to your routine – strengthen your legs and keep your pelvis mobile. Try some positions you may use in labour and work on strengthen these postures. Keep up with moderate intensity , low impact exercise within your comfort. If you are feeling up to it continue to maintain your fitness right up to delivery day. Gone is the myth that pregnancy is not the time to start an exercise routine! Many women who are non-exercisers often see pregnancy as an opportunity to look after themselves and to prioritise their health and fitness. After all pregnancy itself is a workout so the fitter you are the more you will enjoy this time. Make sure you start gently and slowly and always listen to your body. If you are new to exercise always check with your doctor or health-care provider prior to starting. 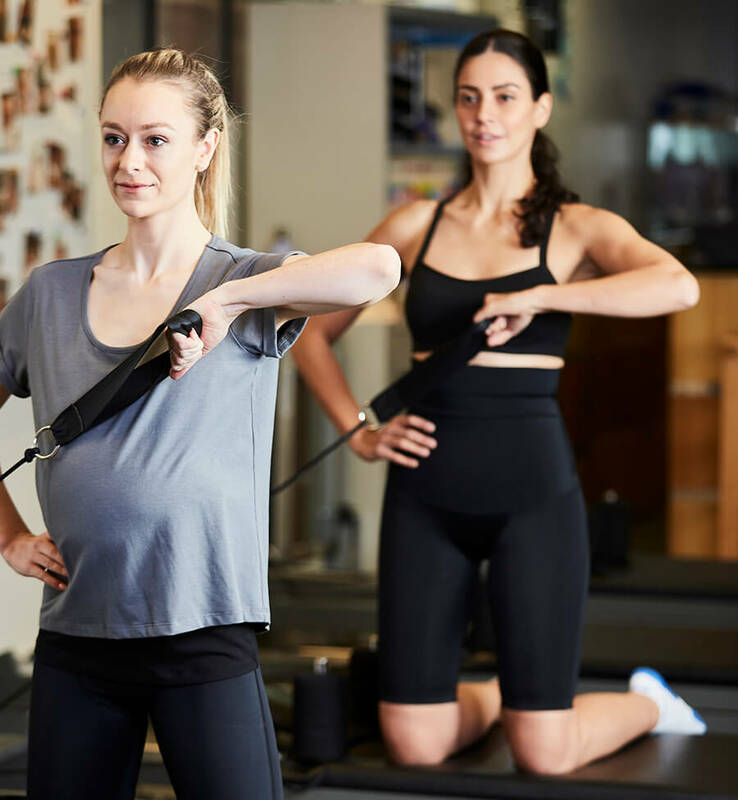 Seek the guidance of a physio with experience in pre/postnatal care or a personal trainer (who specifically works with pregnancy) for a tailored program to suit your level and abilities. Gentle swimming and stationary bike are fantastic low impact gentle ways to start. Or try out prenatal pilates or low impact pregnancy exercise classes.